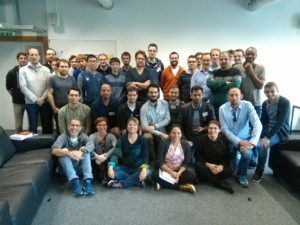 The goal of this school, co-funded by CECAM and University of Luxembourg, was to provide the participants with the theoretical and computational tools to study the excited properties of advanced materials and nanostructures. In the morning, the students followed lectures on the fundamentals of linear response and many-body perturbation theory together with more technical lectures on the implementation of the theory into first-principles approaches. 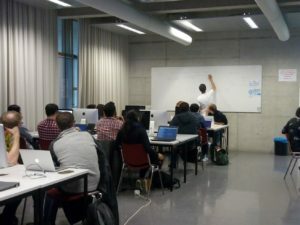 During the afternoon sessions (and the Friday morning session), the students used the approaches introduced in the morning and got familiar with the computational tools (yambo and yambopy) through the calculation of the excited state properties of hexagonal boron nitride, both bulk and monolayer. In addition to the more traditional step-by-step hands-on tutorials and convergence studies, particular attention was dedicated to the set-up parallel runs, subtleties in calculations of systems with reduced dimensionalities and to tools to partially automatise calculations (e.g. convergence studies). Finally to broaden the scope of the school, the program was complemented by three invited talks: i) Nicola Marzari presented an overview on realistic simulation of complex materials, ii) Carlo Cavazzoni discussed the recent trends in parallel computing and iii) Xavier Blase discussed an alternative Bethe-Salpeter approach, using a localized basis approach and applied to molecular systems. For this school, a whole new set of hands-on tutorials were developed based on feedback from previous schools using the Yambo code. In particular, students had requested a closer explanation of the connection between the physical formulae and the code parameters that control how the formulae are computed. Thus we put much emphasis on equipping the participants with in-depth practical information of how to get the most out of Yambo, while always seeing the connection with the underlying physics. To aid this, we also prepared a 20-page “cheat-sheet” to summarize the main variables and flags alongside the key physical formulae. One day was devoted to demonstrating how to perform MBPT calculations with Yambo on large scale systems using effective parallelism techniques. 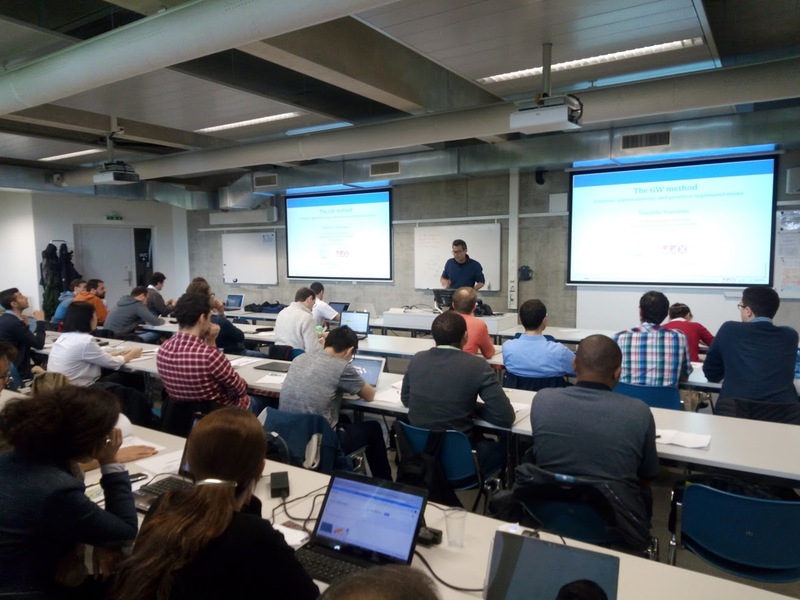 For the hands-on sessions, CECAM generously arranged access to HPC facilities in the EPFL so that the participants could really test out the different parallelization strategies. This in-depth information is nowadays crucial for performing realistic calculations on non-trivial systems. 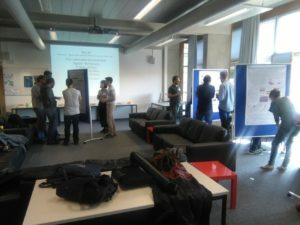 Besides the lectures the participants had the chance to socialise and network among themselves and with the lecturers: on Monday the students presented their project in a poster session and later got together with the lecturers in the city centre for a drink. On Wednesday the social dinner was held at the Chalet Suisse. Finally on Friday before parting ways, the participants had a finger-food lunch buffet together. The students participated enthusiastically in all of the school’s activities. The theoretical lectures were followed by questions and discussions which spilled out into the coffee breaks. Between coffees and pain-au-chocolat, no whiteboard was spared of diagrams and formulas. During the hands-on tutorial the students worked hard on the exercises and asking not just technical questions, but initiating as well discussions on more theoretical issues. At the end of the school the students completed a survey. In general, the students gave positive marks on the course content, quality of the lectures, hands-on sessions and the utility of the Yambo code for their research projects. Around the 90% of students would recommend to attend the Yambo school to a colleague. Andrea, the original developer of Yambo, gave an overview of the motivations of the school and some historical remarks about Yambo. By introducing the school motivations he slowly entered the world of electronic correlation, the real cornerstone of modern excited state simulations in realistic materials. The main limitations, approximations, potentialities and, more in general, features of Yambo were addressed and discussed. Andrea created a collaborative and open atmosphere where any student question is a good question! Professor Marzari from the EPFL opened the school with a plenary-type talk that explored many cutting edge aspects driving modern theoretical studies of real materials, from high-throughput computation through automated initiatives like Aiida. Electronic correlations were introduced in a simplified way by using simple examples and basic perturbation theory concepts. The aim of the lecture was to put on a common ground a mathematical language to be used during the school. Simple second quantization will be introduced and the complex many body machinery is reduced to a problem of simple dielectric theory. In other words: how would simple Hartree-Fock theory look like in a world ruled by dielectrics? Implementation of linear response theory in Yambo. In this lecture an overview on linear response within random-phase approximation (RPA) and time-dependent density functional theory (TDDFT) was presented. 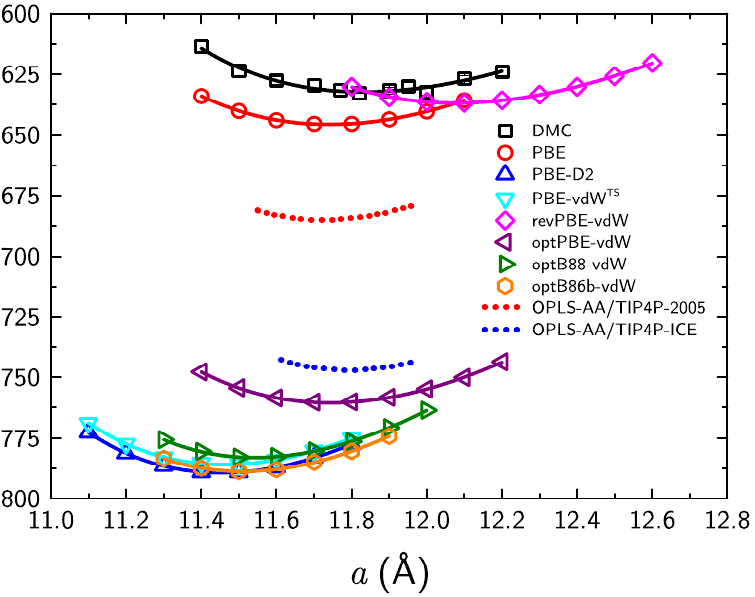 In particular the connection with measurable quantities was defined, comparing the prediction of RPA and TDDFT with experimental data from electron energy loss, absorption and other experiments. This introductory hands-on session presented a step-by-step guide to computing an optical spectrum with Yambo, starting from a DFT calculation. Topics covered DFT calculation with QE, interfacing with DFT codes, input file structure, databases, understanding the code output, and finally calculation of linear response with and without local fields in bulk and 2D h-BN. A general overview of Many-Body Perturbation Theory. Students were introduced to the basic concepts of Green’s function theory and the concepts needed in the GW and Bethe-Salpeter lectures were introduced here. We drew parallelisms with Hartree-Fock in order to explain the fundamentals which lead to the Dyson equations and the rules for building Feynman diagrams. In this Lecture Dr Ferretti introduced the theoretical modelling of the photoemission experiment, aiming at a first principle interpretation of the measured data. The basic approximations (three step model, sudden approximation) leading to the connection with the many-body spectral density was highlighted. Then, the theory of Green’s functions was discussed, as the natural theoretical framework to deal with the calculation of the interacting spectral density, together with the physical properties of the resulting self-energies. Finally, as a practical and feasible approach to the calculation of the electron-electron self-energy, the GW method was introduced and critically discussed in terms of successes and failures. In this lecture Dr Varsano briefly derived the main equations governing the GW approach. Next he described the most common approximations needed to carry out a GW calculations with an emphasis on the particular choices and implementations done in the Yambo code. Description of the main variables used in Yambo and tips for efficient calculations were also described. In this hands-on the students performed a GW calculation for a bulk material. They calculated the quasiparticle band structure step by step, gaining experience in the setting of the most important variables governing the calculations and best practices to have meaningful results. Particular attention was devoted to convergences test in the different stages of the calculations. The most common approximations were illustrated. In this lecture Dr Ferretti illustrated the main ideas behind the different parallelization strategies and different schemes of parallelization implemented in Yambo. Examples on the choice of the proper use of the computational resources were illustrated both in term of timing and memory needs. In this hands-on the students learned how to set in a proper a meaningful way the Yambo variables governing the parallelization in order to enhance the performance and avoid pitfalls. Dr Cavazzoni from the CINECA supercomputing facility in Bologna gave an invited talk covering a wide range of topics related to current and future trends in parallel computing, from Moore’s law through to novel computing architectures and what they mean for code developers and users. 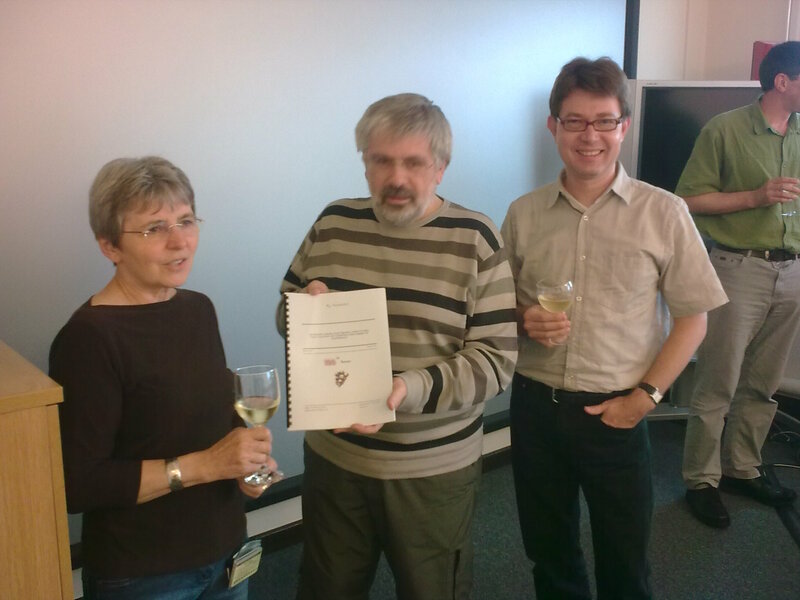 Dr Grüning gave an overview of the Bethe-Salpeter formalism and its application the optical properties of materials. In the introduction the failure of the independent particle picture for optical absorption was highlighted with few examples. The connection between microscopic and macroscopic quantities from the Monday’s lectures was revised. Starting from Hedin’s equations, introduced in the Tuesday’s lectures, the Bethe-Salpeter equation was then derived. By introducing the basis of electron-hole pairs, the problem was reformulated as an algebraic problems. The common approximations and technical implementations of the BSE used in Yambo, were illustrated with a closer look at the excitonic hamiltonian form considering also the spin-degree of freedom both in the collinear and non-collinear formalism. The diagonalization and iterative approaches to obtain the optical spectrum were also discussed. The main input variables to perform BSE calculations in Yambo were shown. Several examples of BSE calculations for systems of different dimensionality were also discussed. Dr Blase gave an overview of the application of the GW method and Bethe-Salpeter equation in organic molecules. He introduced atomic localised basis set highlighting the numerical/computational advantages and limitations over plane-waves for molecular systems. He showed that for accuracy the critical part of the calculation is the GW one and showed several benchmarking for self consistent GW versus one-shot GW from different exchange-correlation approximations. At difference with sp semiconductors where the one-shot GW is in general satisfactory and not dependent on the underlying exchange-correlation approximation, for molecules usually some form of self-consistence is needed. Finally he discussed applications of the localized basis approach to the study of charge transfer in metal-organic surfaces. The participants were guided step-by-step through the Bethe-Salpeter calculations of the optical spectra of bulk-hBN using Yambo. A second tutorial went into the convergence of the calculation with the parameters. Overview of the interplay of the many-body effects and the low dimensionality of the emergent 2D materials. Introduction to the basics functionalities of yambopy: reading, writing and manipulating yambo input files. Application to the GW calculations and example of convergence test. Application of yambopy for the convergence of a Bethe-Salpeter calculation. Visualization, analysis and interpretation of the results. In this open session, students can ask for help with the installation of Yambo and with their projects. They can also continue with the the yambopy hands-on or revisit previous tutorials.